SCBA members who wish to be SCBA certified judges can begin that process by participating in this seminar. This is the first step in becoming a certified judge. 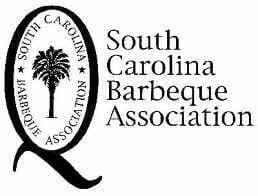 Would you like to become a SCBA Certified barbeque judge?Then join us for the next judging seminar.. The cost to attend is $50 per person and includes a bbq lunch but you must be a current member of the SCBA in order to attend. For more information about the SCBA or to become a member, go to www.scbarbeque.com and click on the Join Us link. Individual memberships are $35 and Family Memberships are $60.